The small Dulevo BOOST 20.0 walk behind scrubber guarantees excellent cleaning performance. 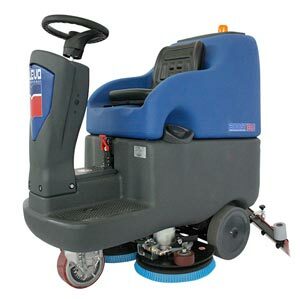 Simple and sturdy, this small walk behind scrubber is intended for particularly difficult professional applications. The rotary tanks, the steel brush head, and its simplicity guarantee maximum reliability even under the most extreme conditions. 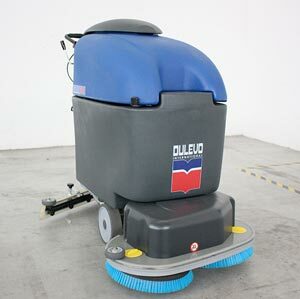 The Dulevo BOOST 20.0 walk behind scrubber is ideal for professional cleaning of small areas, such as shops, restaurants, bars, etc. Its extremely compact design allows the machine to work in the most narrow places and in places difficult to be reached. Costs efficiency is the added value of this walk behind scrubber. Both the brush and squeegee can be easily lifted with two levers, which guarantee reliability and durability. As it is designed on two wheels, the entire weight of the machine is supported by the brushes during the work phase. This special structure ensures excellent cleaning outcomes. Another distinguish feature of the walk behind scrubber is flexibility. The folded handle and its lightness allow the machine to be easily transported by car or in small vans and to be stored in small closets. The Dulevo BOOST 30.0 walk behind scrubber guarantees excellent cleaning performance. Simple and sturdy, this walk behind scrubber is intended for particularly difficult professional applications. The rotary tanks, the steel brush head, and its simplicity guarantee maximum reliability even under the most extreme conditions. 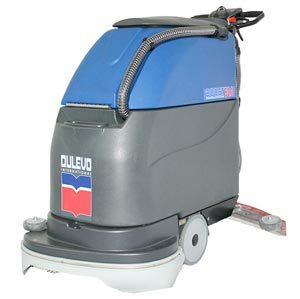 The water tank, which combines great capacity with compact dimensions, makes the Dulevo BOOST 30.0 ideal for cleaning small-medium areas, such as shops, restaurants, bars, showrooms, supermarkets, etc.Its extremely compact design allows the machine to work also in particularly narrow areas. 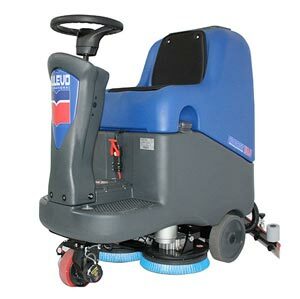 Despite its reduced dimensions, the Dulevo BOOST 30.0, walk behind scrubber guarantees the same cleaning performance as that of a larger machine. Its features make it suitable also for light industrial uses, such as small mechanical workshops, car dealerships, assembly lines, etc. Costs efficiency is the added value of this walk behind scrubber. Both the brush and squeegee can be easily lifted to guarantee reliability and durability. 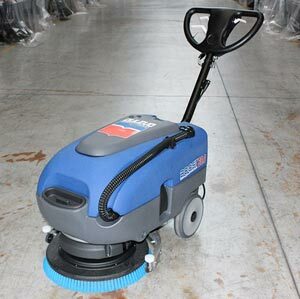 The BOOST 50.5E walk behind scrubber guarantees excellent cleaning performance and incomparable yield. Innovative and technological but, at the same time, simple and sturdy, these scrubbers have been designed and manufactured with the best materials and in compliance with the highest engineering levels. The BOOST 50.5E walk behind scrubbers are the best solution for areas such as supermarkets, shopping centres, showrooms, and airports. They guarantee outstanding performance also in industrial applications, such as mechanical workshops, metal processing, assembly lines, etc. Moreover, they are particularly suitable for being used in hospitals or wherever effective cleanliness must go unnoticed. 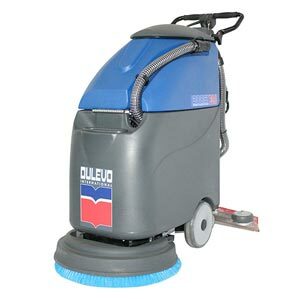 The Dulevo BOOST 90.0 walk behind scrubber guarantees excellent cleaning performance. Simple and sturdy, this walk behind scrubber is intended for particularly difficult professional applications. The rotary tanks, the steel brush head, and its simple electronics guarantee maximum reliability even under the most extreme conditions. The water tanks combine great capacity with compact dimensions: the Dulevo BOOST 90.0 walk behind scrubber is perfect for cleaning small-medium areas. The Dulevo BOOST 90.0 walk behind scrubber is the best solution for areas, such as supermarkets, shopping centres, showrooms, airports, etc. They guarantee outstanding performance also in industrial applications, such as metal manufactures, car dealerships, and assembly lines. Costs efficiency is the added value of this walk behind scrubber. Both the brush and squeegee can be easily lifted with two levers, which guarantee reliability and durability. A LED display protects the life-span of the battery. 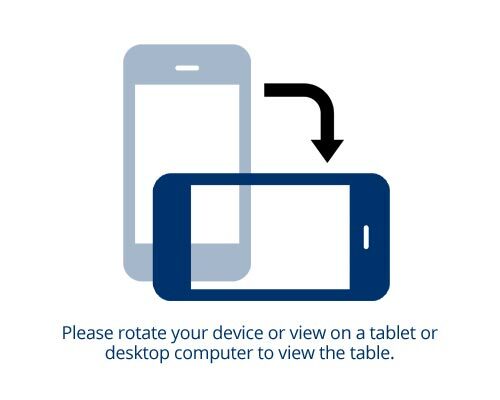 Should the battery be critically low, the system will switch off automatically to allow the machine to be recharged. This device prevents the battery from discharging completely, thus avoiding serious damage. The Dulevo BOOST 110.0, scrubbers with man on board have been designed to easily pass through normal doors of houses and offices. Extremely easy to use, great performance, and incredibly ergonomic, the Dulevo BOOST 110.0 scrubbers with man on board guarantee maximum comfort and outstanding outcomes also under particularly harsh work conditions. The special configuration of the tanks ensures great stability and accessibility for easy maintenance operations. This special configuration allows the machine to be particularly silent. Attention was particularly focused on ergonomics during the Dulevo BOOST 110.0 design phase. Despite its compact dimensions, the operator has plenty of legroom. This way, they can work comfortably for several hours in a row. The Dulevo BOOST 110.0 scrubber with man on board are the ideal solution for cleaning medium-large surfaces, such as supermarkets, hospitals, warehouses, gyms, schools, hotels and wherever a compact, efficient, reliable, safe, and comfortable, and convenient machine is required. Great washing autonomy combined with compact dimensions: the Dulevo BOOST 150.0 scrubbers with man on board are perfect for cleaning medium-large industrial areas. The Dulevo BOOST 150.0 scrubbers with man on board are perfect for commercial areas, such as supermarkets and airports and for other industrial applications, such as workshops, load and unload areas, etc. Costs efficiency is the added value of this scrubber with an on board. A sturdy and compact frame and water tanks and mechanical components resistant to heavy applications make the Dulevo BOOST 150.0 scrubbers with man on board capable of facing any work condition. Ergonomics is another important feature of the machine. Wide legroom, comfortable driving seat, and few and simple switches make the machines pleasant and easy to use. Every detail of this scrubber with man on board has been designed to obtain excellent cleaning outcomes and considerably low costs even by inexperienced users.